Illuminate your home with the warm flicker of candlelight cast by these handmade Murano Glass Votives (table top candle holders). Perfect for creating an elegant holiday atmosphere or for an added touch of sophistication any time of year. 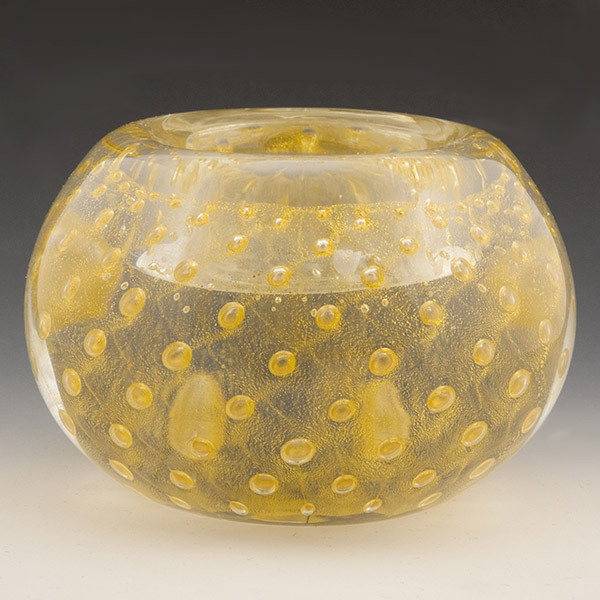 This is a clear glass with gold bubbles.